Home » Uncategorized » A Youthful, Generous Donation! 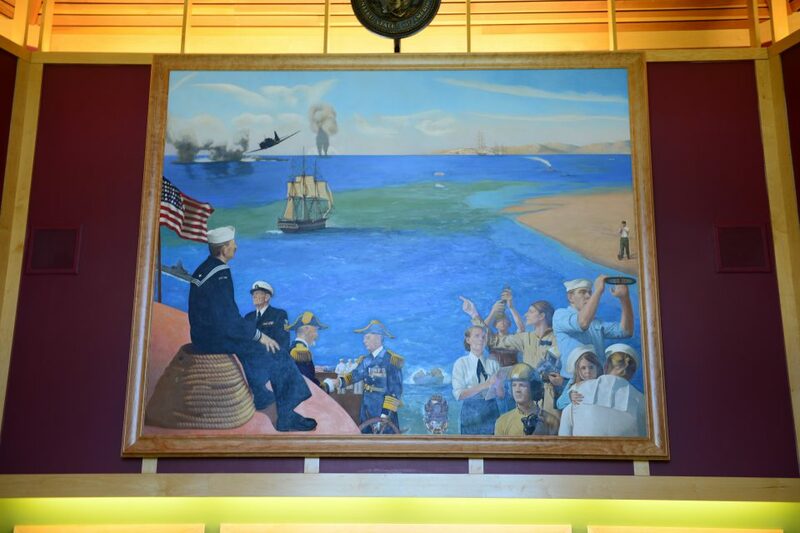 A generous donation was made during the dedication of the Coast Guard painting, and came via the efforts of Bryce Soltis, this year’s Minnesota American Legion Auxiliary Honorary Department Junior President. She started her term in the fall, and chose the Project as her fundraising project. 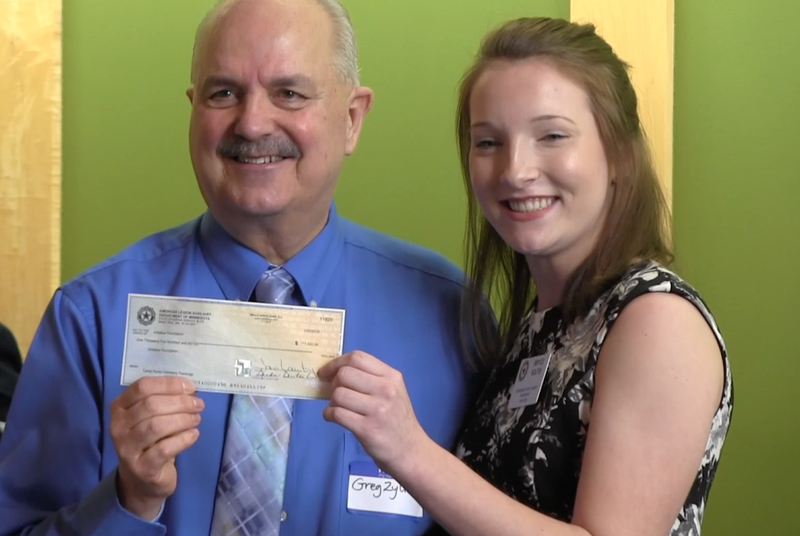 Her enthusiasm, warmth, generosity and caring heart were on full display during the event, where she is shown, below, with Greg Zylka, Fundraising Committee Member and Mayor of Little Falls. 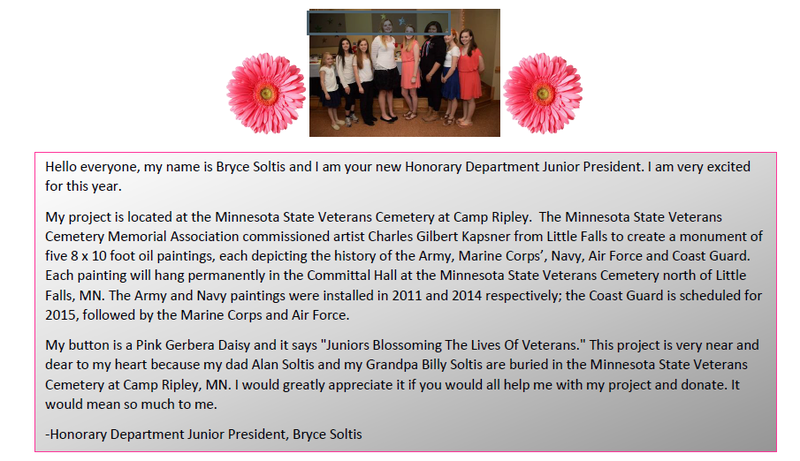 Bryce’s dad, Alan Soltis, and grandfather Billy Soltis are buried at the Cemetery, which made the project dear to her. Thanks to Bryce for her generous commitment, and to her and her family for attending. What a terrific young lady! By vetsart in Uncategorized on February 12, 2016 .